My university tutor was a pioneer in the field of semiotics. If I’d spent less of my time on extra-curricular activities, I’d perhaps be able to tell you exactly what it is. But it’s something to do with the process of signs and meanings. Highly relevant, then, in considering our win over Sheffield Wednesday. Before I do that, a disclaimer. My article last week was meant to be conciliatory; there’s a divide among our fan base, and I’ve no wish to inflame it. The past few weeks have been miserable in results and entertainment, while underlying financial challenges loom ever larger. It’s not been fun. So this week’s piece is in the same vein. It shouldn’t make you angry with me – though I’ll have no complaints if you decide I’m certifiably mad. The scenario I’m going to paint is improbable. It’s unlikely to happen. But it just might. It brings together two strands: the manner of our win over the Owls, and the history of the Championship. In every sport, teams and individuals have bad runs. Sometimes it takes a slice of luck to break the run: the batsman who’s dropped early in his innings and goes on to make a century, the team that gets away with a dodgy penalty decision and goes on to scrape its much-needed win, and so on. In other cases, the run is broken by sheer roll-up-your-sleeves determination and quality play. That’s what we saw on Saturday. The team wasn’t helped by an (understandably) subdued Carrow Road crowd; it was the players who provided the spark that the fans eventually responded to. When a bad run is ended that way, it gives the team a big lift. Our win at Sheffield United in September, of course, inspired the eight-game unbeaten sequence. Confidence is a massive factor in this division. Speaking of which, the Championship has an interesting feature. Virtually every season, a team from the pack in December emerges to force its way into the play-offs, and often beyond. We should be acutely aware of this. In our last promotion season, we stood ninth in December. The run inspired by Alex Neil took us not only into the top six, but to a real shot at automatic promotion before we ended up at Wembley and in the Premier League. That’s the norm rather than the exception. Last season Fulham were tenth at this stage, their fans bemoaning that the season was over. They were wrong. Fulham made the playoffs and many were surprised (me included) that they didn’t go all the way. So what defines the clubs who emerge from the pack and charge to the playoffs? Enough quality, for a start, but generally assisted by key players returning from injury. 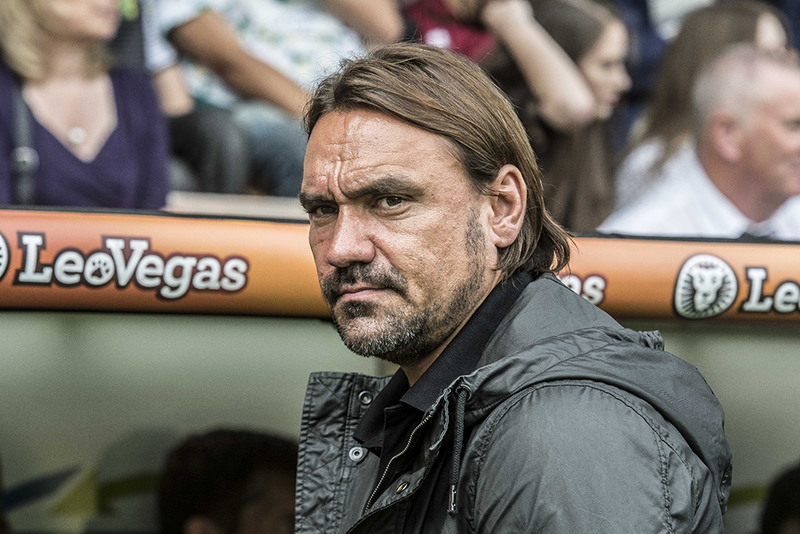 Whatever your view of Daniel Farke, we can surely agree that he’s had a rough time with injuries. The most valuable player he inherited, around whom he made clear that he was building his team’s creativity, was crocked in pre-season and has only just made his first start. Timm Klose’s return after Millwall reminded us of how important he was before becoming another Cambridge victim. City’s good run coincided with the pairing of Trybull and Tettey, both of whom subsequently got injured. And Oliveira was on fire at the start of the season, before being struck down by a mystery injury/illness from which he showed the first real sign of recovering on Saturday. Suddenly it seems those injuries may be behind us. More may occur, of course. But imagine for a moment that we consistently have Klose and Hanley in the centre of defence, Maddison and Pritchard doing their stuff in midfield and a fully-firing Nelson Oliveira up front – doesn’t that sound potentially a bit special? If Watkins, Wildschut or Josh Murphy could command a regular starting spot to support that group, we’d be a force to be reckoned with. This is all a bit fanciful, of course. It puts a lot of weight on 45 minutes from Saturday, and assumes an upturn in luck (and that we won’t sell key assets in January). It probably doesn’t pay enough heed to the form that preceded Saturday, or to our league position. We’re a long way off the pace. But equally strange things have happened. If anyone from the pack is going to have a run in the second half of the season, we have the ingredients for it to be us (including, given encouragement, the Carrow Road crowd). There’s lots of reasons why it’s unlikely, but I’m of the same thinking. Dreaming helps keeps positivity alive and enables me to enjoy it. It’s somewhat ironic that without Pritchard’s injury at Cambridge, Maddison would surely not have risen to the level of prominence that he has. As everything and anybody at NCFC is potentially for sale, nobody can say how long we will be blessed with the presence of these two but it is very pleasing that they CAN play together, which many of us had previously doubted. I fear your dream is just that – but I’d be delighted to be proved wrong. A great Lennon Imagine reference in the headline btw, There have been times in my City supporting life when Gimme Some Truth and How Do You Sleep are questions I could have asked certain individuals – nobody currently at the Club! If we don’t sell in January then there’s no reason why we can’t push for a top six place.If only we could sort out our left side as well.Here’s Hoping Lewis takes his chance when given and Husband comes back bang in form,then there will be many options for DF to look at.In the meantime Watkins must be given a game or two to show what he can do.Things seem a bit brighter at CR now. Do the maths. The current projection for 6th place is 80 points, the same as last year. To reach this we need to average over 2 points per game for the rest of the season. Or to put it another way, repeat our 8 match unbeaten run (5W, 3D) for the next 25 games. It makes a better thing to dream..than a white christmas and have to sit through that darn movie. Well, we all like to Imagine that’s for sure. I don’t know about this season Stewart, but I do remain optimistic about the Farke project longer term. Our Daniel might have a nice smile, but somehow I’ve never got the impression that he likes to be beaten, or defeated by a situation for a long time. If i was to rate his personality, I’d say he is one hell of a determined guy, and he has the brains – and emotional intelligence – to see a challenge through. It will sure help if we can get most of our better plays back onto the pitch together – Pritchard, Maddison, Oliveira, Tettey, Trybull, Klose, Hanley, Pinto, even maybe Lewis at left back, and then a few more around them to gel as well. The pessimists are all seeing the better players as being sold off, either in January, or if we fail to get promoted in the summer. But Webber and Farke will have more of a plan than that. I think any sales in Jan would have to be for crazy money, and such money can only help the club strengthen more broadly. I am very positive that both Webber and Farke are aiming for longer term strengthening of the squad, even if we are not yet promoted, through a continuation of the types of judicious purchases and loans they have already made – Angus Gunn should have been added to the above – plus the more effective nurturing of some of our academy players. So I remain optimistic for the longer term. This season? Well, let’s see what happens the rest of this month. If we can continue an upward tick through into the new year… then yes, anything is still possible. At the same time, if we are not in the play offs… and whether we are or not, if we don’t go up this season, I don’t see it as the end of the world, and don’t see it as meaning we will have less chance next season, budget cuts not withstanding (and if that happens, I think then there will be more pressure on Delia and Michael to find some form of additional investment to make up for it). Good points. Fans are now aware of the challenges if we don’t go up this season. Stuart Webber has been focussed on them since the day he walked through the door at Norwich. One win and hope springs, we do as you say have a very talented squad that I believe has the quality to make the playoffs, we are not so far away. Whether DF is the right man to get the most out of the squad is another thing entirely. I remain uncertain that our win was inspite rather than because of him. I hope that the second half vs wednesday and the game against Arsenal are what we can continually achieve with a largely more fit squad rather than the tepid slow rubbish that has generally been served up. With Maddison and Pritchard at least the opposition will be a bit confused about who they need to kick the most. With those two I have genuine belief we can open up the most stubborn defenses and that really has been our problem during our dour run. According to the players, Farke told them before the game to believe in themselves and be positive. That’s the message he underlined at half-time. Excellent General – especially your comment re Maddison/Pritchard. I loved Maddison’s take on it – I’ll just get up and try to create more havoc (or words to that effect!! You ask if DF is the right man to get the best out of this team and as someone mentioned the other day, ‘I’m not ready to throw in the towel just yet’ and the remaining games this month will be a massive test, with our trip to Elland Road on Saturday probably the biggest. I see he’s ready to add Jamal Lewis to the first team squad and I live in hope that Ben Godfrey could be added as well, as IMO, he could deputise for Tettey who is close to 5 yellow cards. The return of Pritchard is certainly a bonus, a reason for cheer. I also believe it’s not impossible for us to rise significantly up the league, we should have the quality. My biggest fear is that there’s a fragile mentality and once we lose again, which we’ll do at some point, it’ll break. Whether that’s Leeds (think we’ll pull off a draw), or five games from now. Not sure. I also don’t think Sheffield was turned around by any particular masterstroke from Farke. If he had that in the bag he’d have used it long before. I think it was a mixture of some pieces of good play and Sheffield basically behaving like we do and capitulating. Agree with much of your first para, Dave, but less so with the second. Some Wednesday fans were critical of their team afterwards – but it was clearly more a case of “How could we lose to a team that hasn’t won in seven games?” There’s probably a group calling itself “Along Come Wednesday”, reminding us of the absurdity of that concept. If Wednesday eventually submitted on Saturday, it was because we battered them into it. Great article Stewart and I admire your optimism. Normally, I’m right there with you on that front. I will support whatever team graces the hallowed turf of Carrow Road. I hate the booing when the team doesn’t perform, however I understand and respect those that do, I just think it’s not very productive. I’ve been a tad pessimistic and hacked off over the last few weeks regarding NCFC. I just feel there is a lack of coherence and difference of opinion between the fans and the powers that be which is magnified when the team isn’t playing well. I along with many others want to see football ambition and aspiration from the board as well as a desire to balance the books. I appreciate this is a bit of a chicken and egg situation I believe though if you have ambition, perceived or otherwise, this transfers to the team on the pitch and everything else we desire follows. Much has been said about the past 5 or so years and the success the club enjoyed. One thing that was present then which isn’t now, was a feeling that from the majority shareholders down to the fans it appeared we were all pulling in the same direction. Over the last year or two this feeling has gone, due in no small part to poor decisions and ill advised contact with the press. The feeling of togetherness needs to return and soon if the club is ever going to progress up the league. How that will happen is the eternal mystery. We all have our theories, they just need merge together onto some common ground so the club can progress. I turned 50 this year so I suppose I’m at the starting gate of grumpy old man territory, which would explain a portion of my mood! Saturdays second half lifted it for a spell and I hope this continues. I agree It’s good to dream, but to transfer it to reality needs us all to have the same one. The fans seem to and always will, but does this present board? I like your thinking and I try to be more opptomistic rather than pessimistic and until it in mathematical impossible for city to qualify for the top 6 then hope is always there. The major concern for me is that Team Farke says he likes to use the clubs u23 team players but so far Abrahams or Fonkeu haven’t got a shout he has put a few recently on the bench but that doesn’t count as first team opportunities he needs to blood 1 or 2 he just might be surprised at what they might achieve. Lets hope the board has the bottle to keep hold of all the players ie Maddison and Pritchard till the end of the season and we just might with a couple of players added in January have a chance of the top 6.